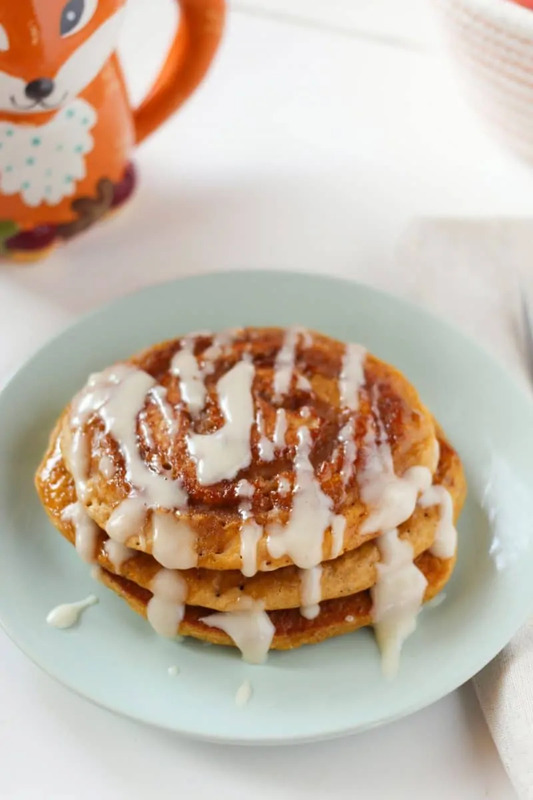 With a cinnamon swirl and a cream cheese glaze, these pumpkin spice pancakes will become a family favorite throughout the fall months and especially on Thanksgiving morning. Let’s face it. One of our favorite things about fall is pumpkin spice EVERYTHING. Who can get enough of those warm, rich, delicious flavors? Coffee, muffins, cupcakes, and even popcorn are coated in this combination of spices that simply scream fall. 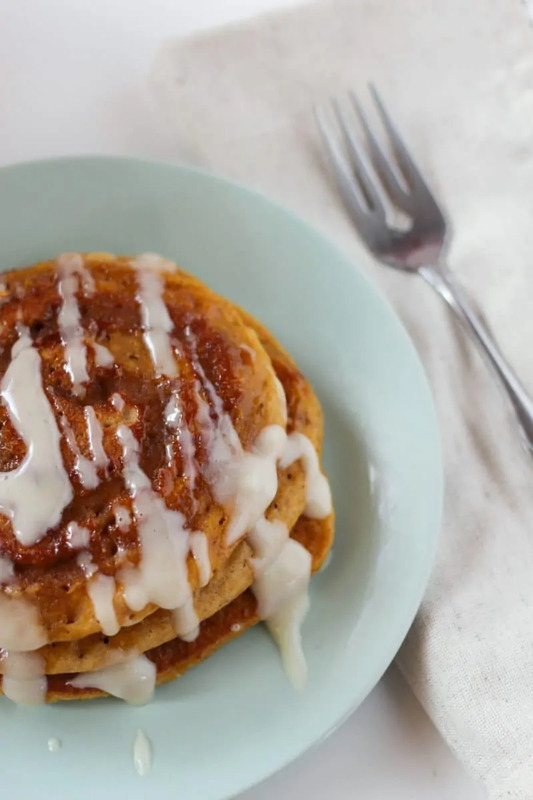 If you want to enjoy that tasty combination during breakfast, try these cinnamon swirl pumpkin spice pancakes with cream cheese glaze. 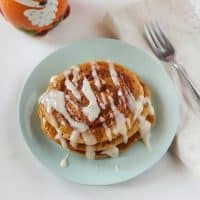 If you’re the type of person that loves to whip up a yummy breakfast on the weekends, you’re going to love these pancakes. You can make the pumpkin spice pancake batter from scratch or you can just use a mix. The real stars of the show though are the cinnamon swirl and cream cheese glaze. Paired with a cup of coffee and a side of bacon, you’ve got a breakfast that will be the start of an amazing day. Have a bit of time on your hands? Cook a few batches of these pancakes and freeze. You can then warm them up in the microwave or oven and make the glaze while they are heating. 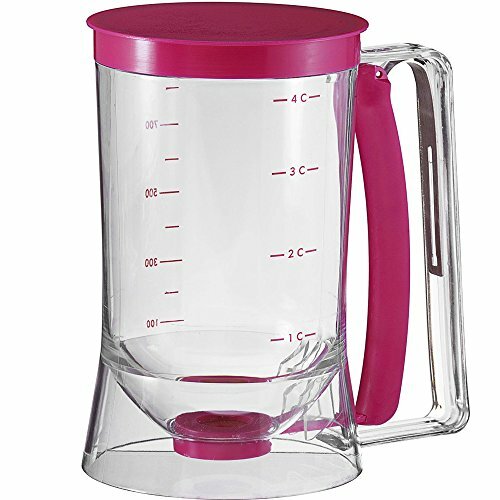 This allows you to enjoy this yummy breakfast even on your busiest days. What are you waiting for? 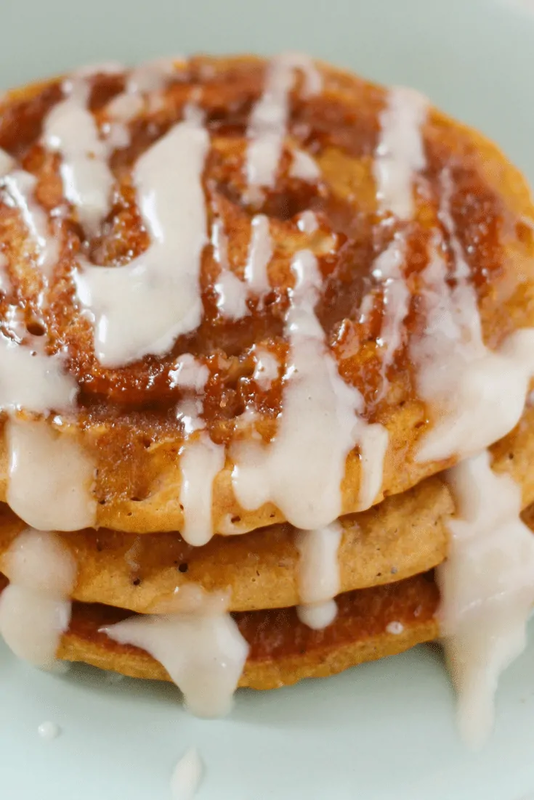 Head to the store and pick up the ingredients so you can enjoy these delicious Pumpkin Spice Pancakes this weekend! With a cinnamon swirl and a cream cheese glaze, these pumpkin spice pancakes will become a family favorite throughout the fall and on Thanksgiving morning. 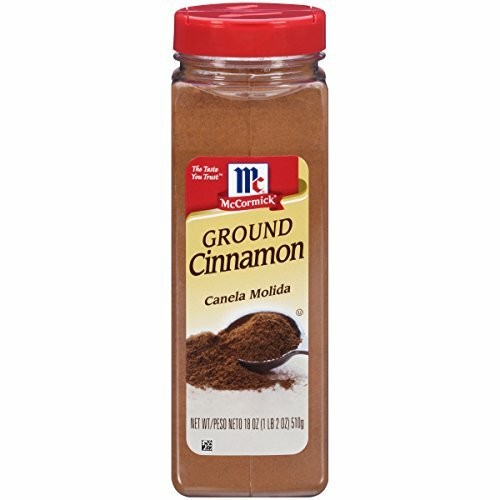 Start out by making the cinnamon swirl mixture. Melt the butter in a pan, stir in the brown sugar and cinnamon and set aside to cool. 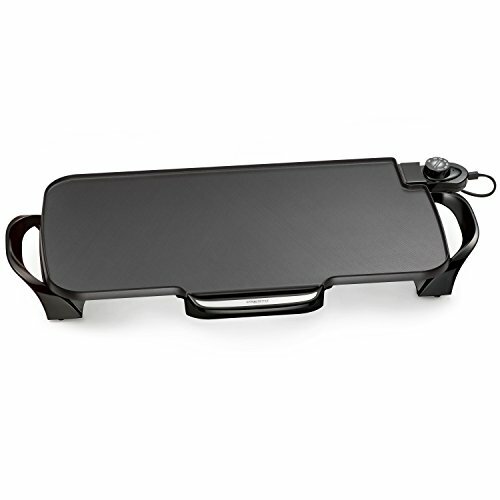 Heat your pancake skillet, add oil or nonstick spray if necessary. 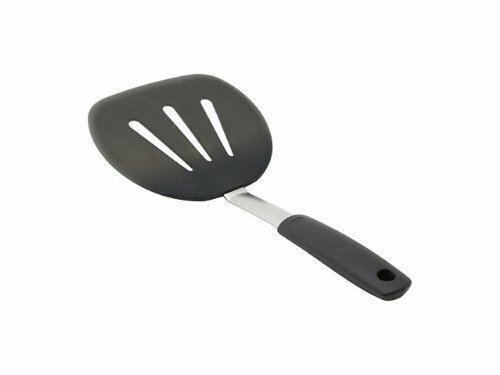 Make your pancake batter by stirring together all pancake ingredients with a wooden spoon. 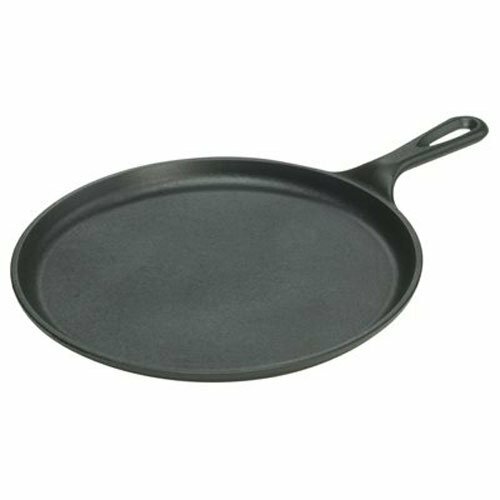 Scoop a 1/3 to 1/2 cup portion onto the skillet. As the pancake starts to cook, spoon the cinnamon swirl mixture into a piping bag or plastic bag. Once the pancake is almost fully cooked on one side, snip off the end of the bag and add a swirl of cinnamon on top of the cooking pancake. Allow the cinnamon mixture to set for at least one minute before flipping and cooking full on the other side. Repeat for all pancakes. Meanwhile, whip together the cream cheese glaze. You can drizzle this over the pancakes with a spoon or with an additional piping bag - your choice. i love this site. i enjoy looking through it. Love trying new recipes! I am going to make these tomorrow for breakfast. I am sure the kids will love them! Would be heaven for the pumpkin spice lovers.